Save big for the Winter! The baseball drills, baseball training videos and baseball practice plans you need to coach your team to success! 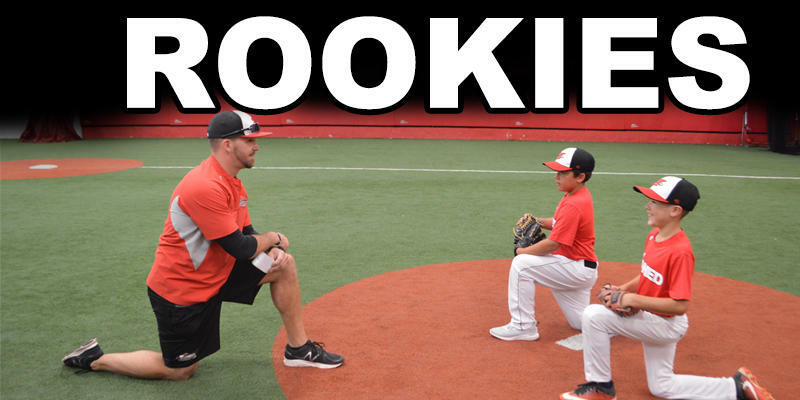 The Rookies Course assists coaches working with the beginner level baseball player typically ages 6-8. This course explains both the correct mechanics of each skill set as well as the drills used to teach it. This introductory course teaches the fundamentals of the game with an emphasis on simplicity and keeping the game and practice fun, upbeat and energetic! 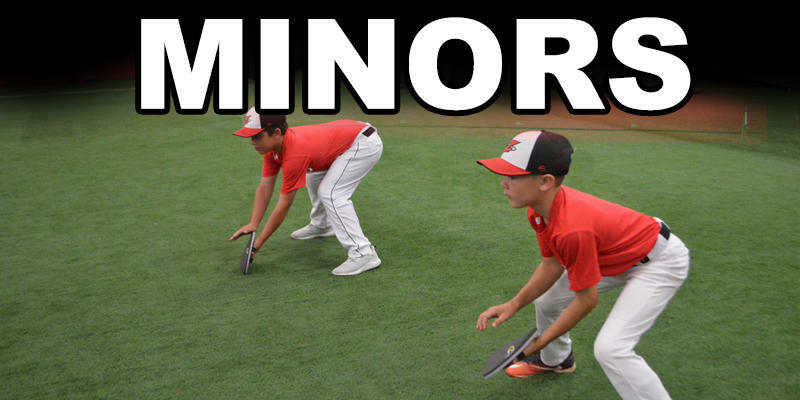 The Minors course is an advanced version of the Rookie curriculum. The Minors course takes coaches through more advanced drill work and coaching techniques. This course was designed to assist baseball coaches working with youth baseball and softball players that already have a basic knowledge of the game and the foundation to develop their skill sets. 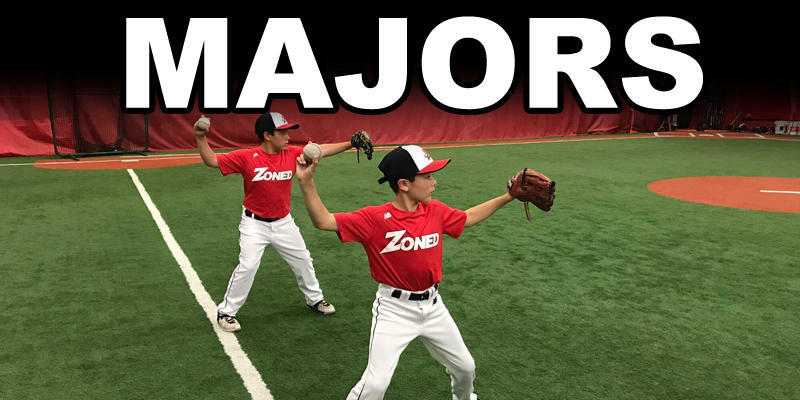 The Majors Course is the most advanced course we offer, targeting coaches that have a team moving on to the bigger field. This course is intended for baseball coaches with players that already have a grasp on the basics of the game. There are several new components of the game when teams move on to the bigger field and this course will walk you through everything that needs to be covered. 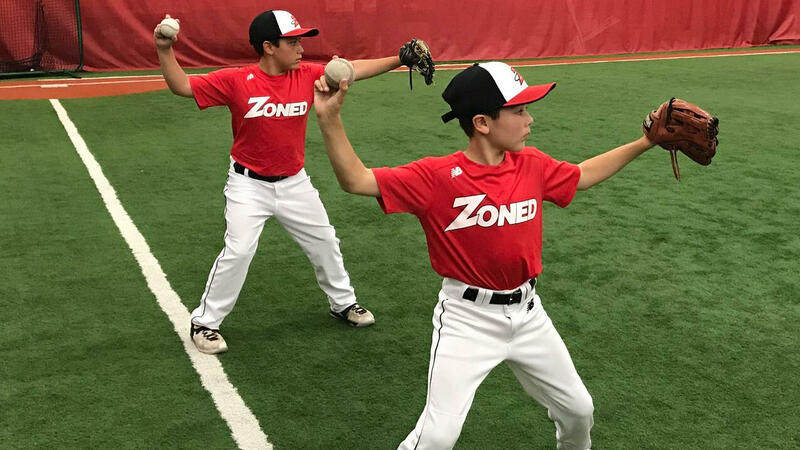 Coach Duke teaches kids how to line up to catch a fly ball with the "Squishy Fly Ball Drill"
Watch Coach Duke Baxter and Coach Steve Nikorak in action! Duke Baxter is CEO and Head Coach at Zoned Sports Academy as well a bestselling author, an inventor, entrepreneur, and most importantly husband and dad of four. Duke holds numerous hitting records at the University of North Florida and spent four years playing professional baseball. Steve Nikorak professional career includes the Chicago White Sox, Somerset Patriots (Atlantic League), St. Paul Saint’s (American Association) and New Jersey Jackals (Can-Am League). He has a degree from Temple University. Steve is a bestselling author, Coach and instrumental in Business Development at Zoned Sports Academy. Baxter and Nikorak share a love of baseball and desire to keep kids in the game by teaching the fundamentals and keeping the game fun! As coaches and former professional baseball players, Duke & Steve recognize and admire the dedication and commitment from parents taking on the title of coach. 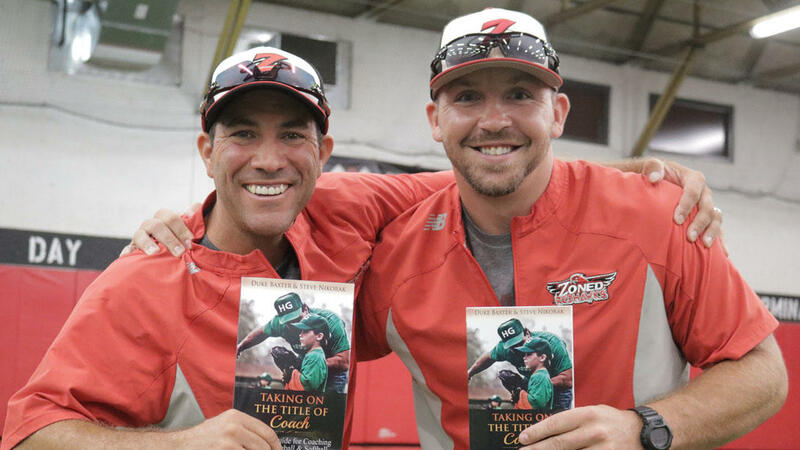 They share their love of baseball and coaching in this simple 5-step guide for even the most reluctant of parents taking on this challenge. Dominate the Diamond® is for anyone who has, or plans to take on the title of “Coach.” It was designed to assist coaches looking to better themselves as leaders and role models to young athletes all while equipping them with the tools necessary to leave a lasting impression on their players.